The Original Big Wheel Princess 16" Trike. 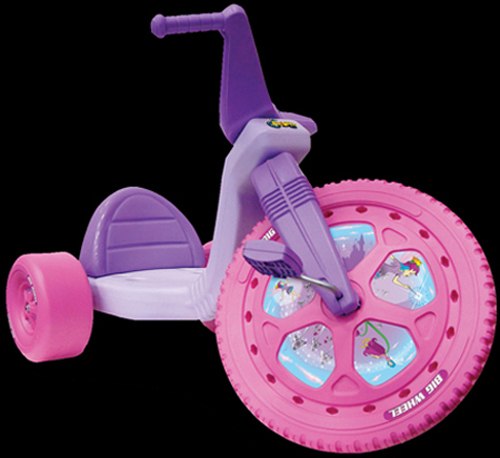 The Original Princess Big Wheel - 16" Trike. We also have a small number of Demo/ Slightly used trikes. The Demo trikes are in perfect condition, only the weheels are sligtly scratched. They are shipped 95% Pre-Assembled. Assembled Size: 36 x22 x 22. 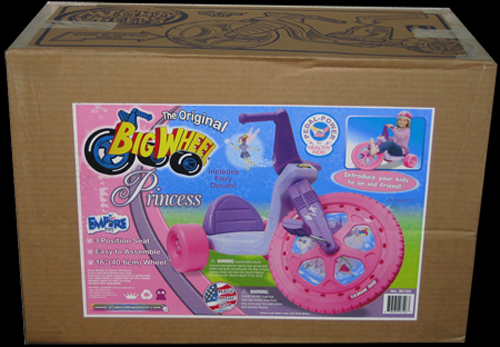 This Original Princess Big Wheel is in Stock! For faster service, International Shipping or volume discounts, please e-mail directly.